Saw one in Islamabad yesterday and it looked good. Disappointed by the interior though. Not worth 5.2 million in my opinion, atleast I would not spend that much on it. I have seen a few and it has good road presence. I have seen a few in DHA, Lahore but not more than 5-6. Everyone likes the looks of this car but don't want to spend that much. I can still live with the interior if it was priced cheaper. You cannot compare Pakistani vehicle prices to any other countries because Pakistani Govt charges too much bhatta (tax/duties). Pakistan i think has the highest bhatta (tax) in the world. Your own govt does not want you driving nice modern vehicles; I think you Pakistani's are better off using all your energy against your own govt rather than blaming toyota for pricing the car so high. Well ... that's the sad part. IMC is selling other vehicles cheaper than other countries while Fortuner is expensive. Check my price comparison in the original review. Yes, UAE is the cheapest one of all. The cars are as cheap as USA and in some cases slightly cheaper. But the point is if IMC can sell Corolla cheaper than all other countries then why not Fortuner? Altis price in UAE is almost equivalent to Pakistan so should be Fortuner's price. i`ve driven corolla in uae n i think imc corolla is better than the one in uae which is made in taiwan . . .
i agree with u but the thing is that previously they had japanese corolla n it was v good car , now they have the south asian model which is made in taiwan . 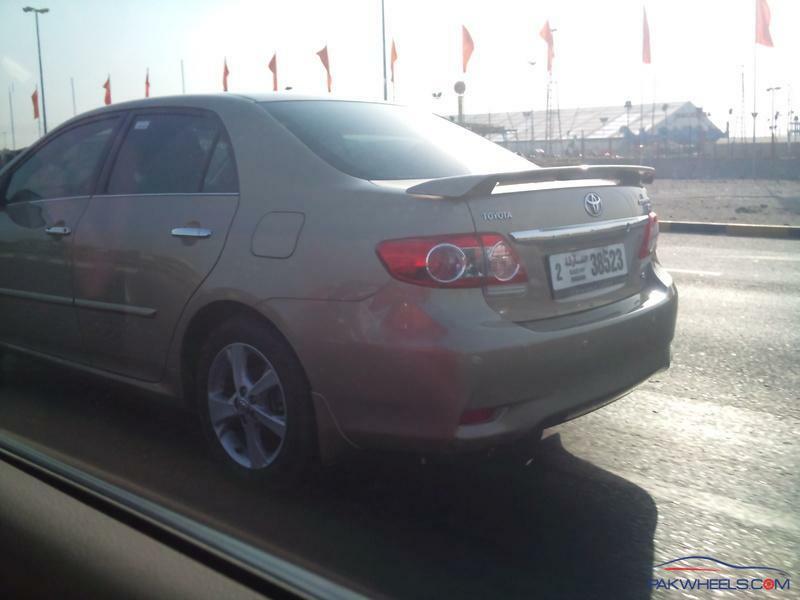 . .
we also have corolla 1.6 auto in uae and its drive and economy is much better than 1.6 imc altis! Nice post, reviews, suggestions, opinions and comments. Like the idea that more than 4 guys saying that they went to the same event separately (PC preview thing) and each of them only saw 2 other people. Maybe they went in different times but just wanted to share the humor. 5.175 Mil is a lot of money but at the same time it might sell as well. Being a brand new car does have its value. Not saying that the price is right or wrong but just that there is a big chance that it will sell. Not sure if the prices will come down. IMC is right on track for selling 2000 units per year as the number of initial sales indicate. With the latest push on billboards and TV Ad (which is very nice) they will probably be right on the target or might exceed it. They will see most sales during the first 6 months and after that it's going to slow down.